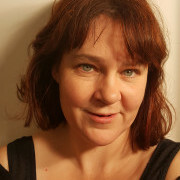 Claire Taylor is a writer, performer and editor. She has had a colourful working life thus far, weaving assorted strands of arts and media together. She's edited puzzle magazines, worked as a freelance puzzle compiler, enjoyed a sojourn in the script department of Eastenders, provided a myriad of voices for the Sony-award-winning digital radio station OneWord, been a copywriter for The Times, written thousands of quiz questions, and performed at a range of venues from the Royal Opera House to Theatre Peckham. She's also created pub theatre for pre-schoolers, and writes and performs poetry. She is a solo parent.